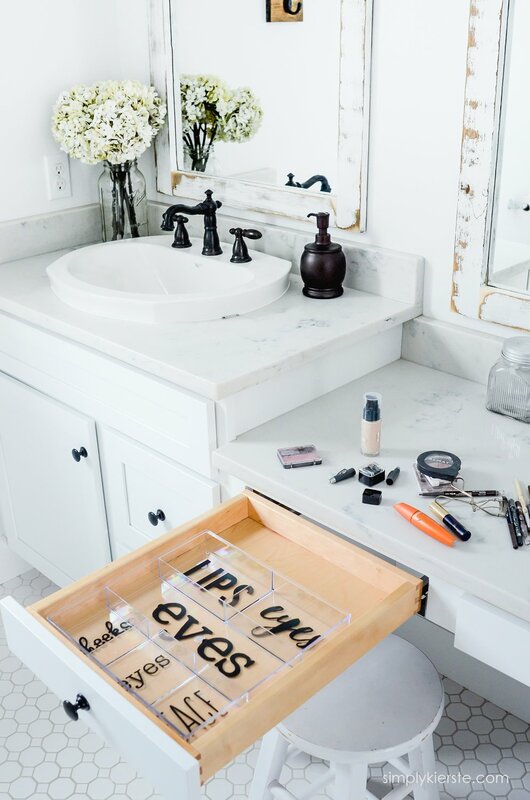 Since we moved into Old Salt Farm, I’ve been searching for a makeup organizer for my makeup drawer in my bathroom. It’s a desk drawer, which means it’s not even 2 inches tall, and I needed one that would not only fit, but also had enough compartments. In the meantime, my makeup just rolled around in the drawer and made me crazy! 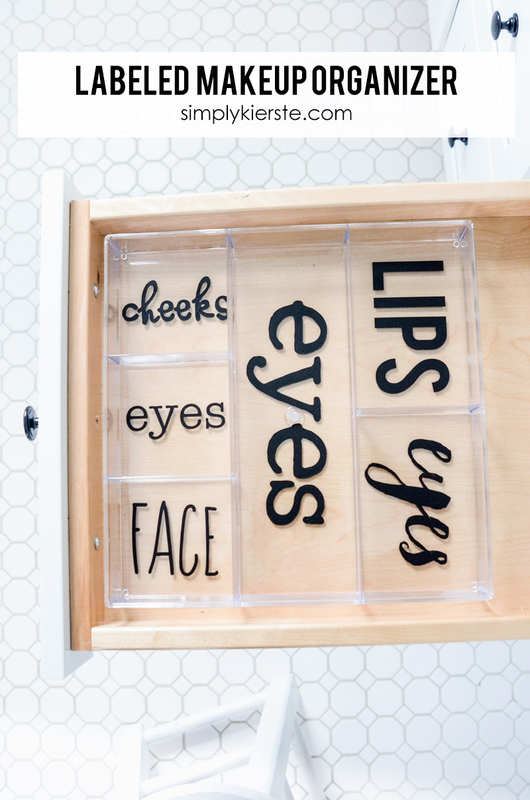 But this week I came up with a labeled makeup organizer that has made ALL the difference…it’s super cute, practical, and functional! I was so excited when I came across the PERFECT organizer, and I couldn’t resist adding some darling labels that I made with my Silhouette Cameo. I absolutely love how it all turned out–and now my makeup is nice and neat and organized. Isn’t that fun? I love all those different fonts! This easily fits all the makeup I have, which isn’t a lot (and out of all the makeup I do have, I use maybe 10% of it), but if you have more makeup, you could just get more organizers. 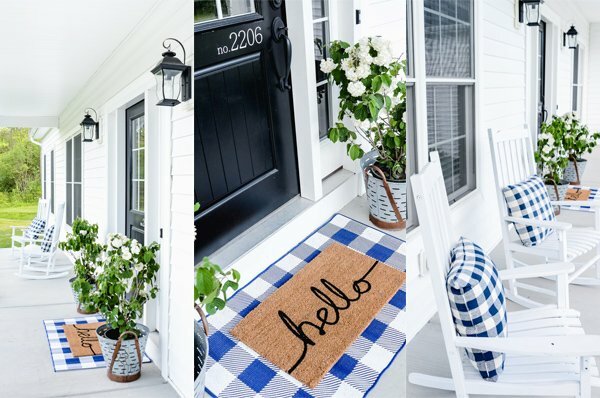 This was a super easy project, and took me less than 15 minutes to do. Love that! 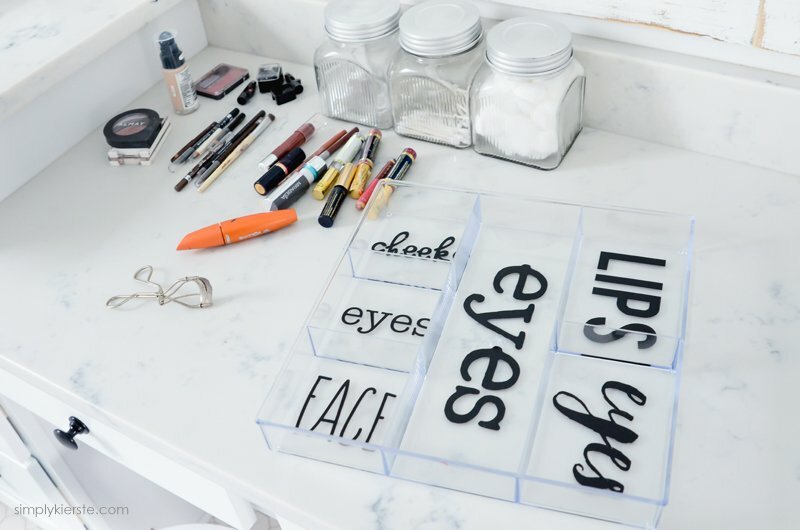 I use my Silhouette a ton for organizing projects–especially labeling. Usually I just do plain fonts, so this was extra fun! I used THIS ORGANIZER. I also bought more for organizing other drawers—it’s a great size. For even more Silhouette projects and tutorials, check out this gallery!